Groupe Anglais formé en 1964 par Cavan Grogan, Lyndon Needs et Terry Walley sous le nom de "Count Dracula And The Vampires", puis des "Sundogs" et en 1970, le groupe prend son nom définif. 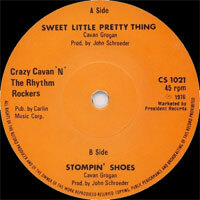 "Crazy Cavan And The Rhythm' Rockers" font leur premier enregistrement en 1973. 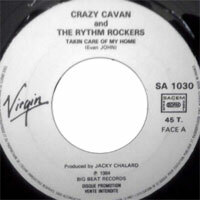 La bande à Cavan Grogan est l'exacte reflet de toute l'imagerie populaire du Rockabilly: coiffures graisseuses, favoris, vestes longues, semelles crêpes, etc... Et un son qu'ils possèdent jusqu'au bout des ongles. 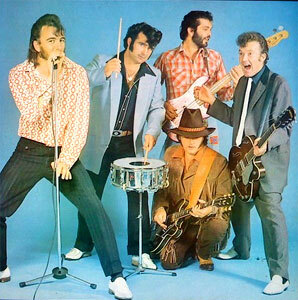 Le groupe comprend Cavan Grogan, Lyndon Needs, Terry Walley, Mike Coffey et Don Kinsella. The first incarnation of the band was formed in 1964 by Cavan Grogan (Vocalss), Lyndon Needs (lead guitar) and Terry Walley (rhythm guitar) under the name "Count Dracula and the Vampires". In 1968, joined by Brian Thomas (piano) and Don Kinsella (bass), they took the name "The Sundogs". 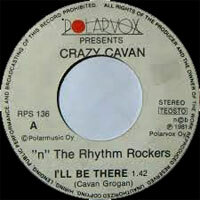 Then in 1970, with the addition of Mike Coffey (drums), they took the name "Crazy Cavan and the Rhythm Rockers", which has stuck to this day. 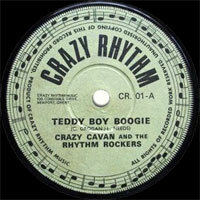 In 1973, the band formed its own record label, Crazy Rhythm Records (named after their own description of their music) and released their debut single, "Teddy Boy Boogie" (backed with "Bop Little Baby"). 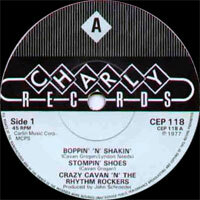 In 1976, they signed with Charly Records in the UK, and released their first album, Rockability.